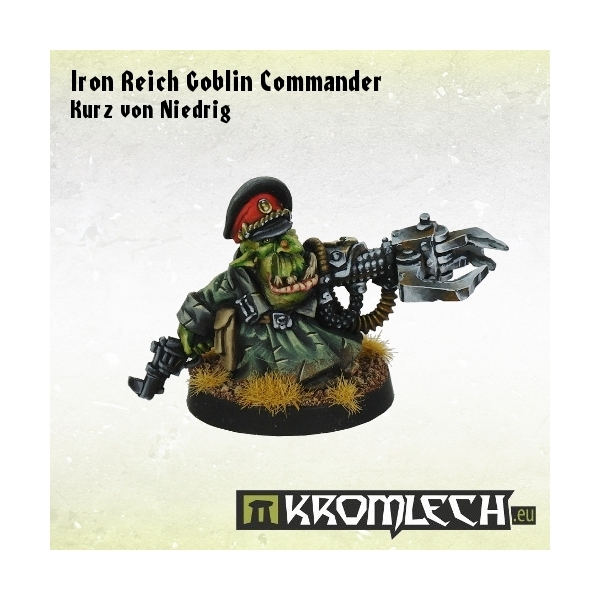 This set contains one cunning leader of Goblin forces in Iron Reich Army. 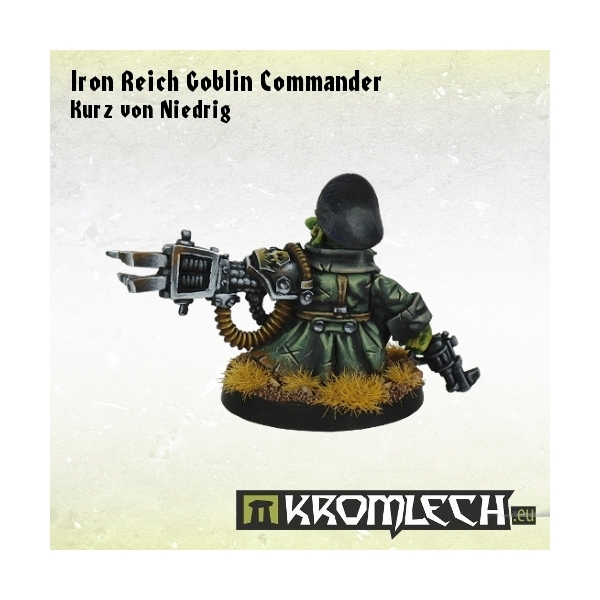 Armed in master crafted six shooter and crushing klaw. 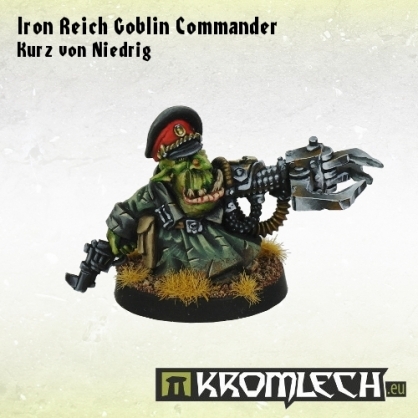 Veteran of countless battles, Iron Reich Goblin Commander Kurz von Niedrig. 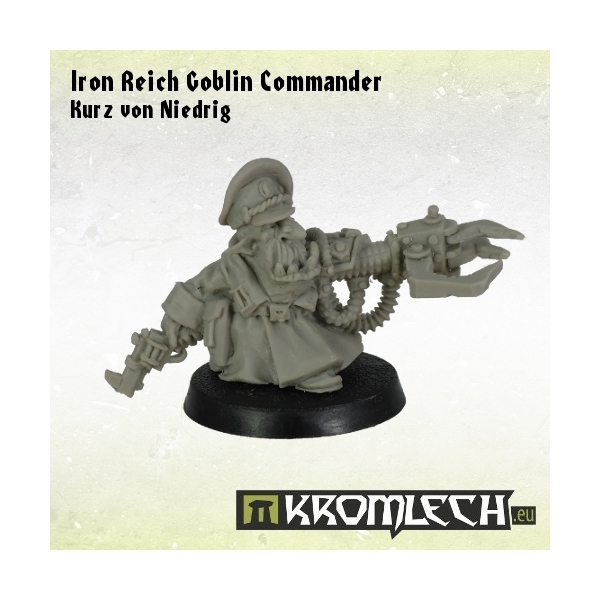 Designed for 28mm heroic scale tabletop wargames. 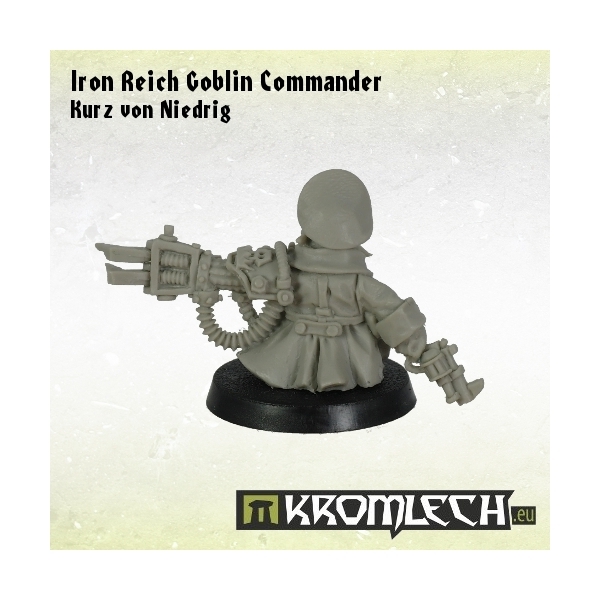 This model is 25mm height from feet to the top of a cap.